Stir until mixture starts to bubble and then remove from heat. Separate about 1cup of satay sauce into a bowl and coat chicken with the satay sauce. 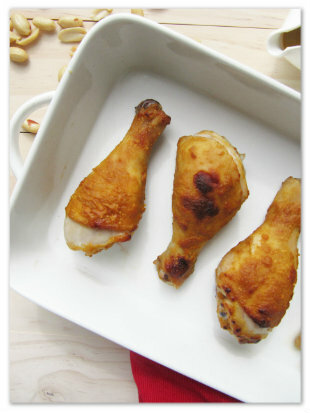 Place the chicken in a baking dish and cook at 180ºC for 25mins, or until juice runs clear. Great served with rice and Asian greens.